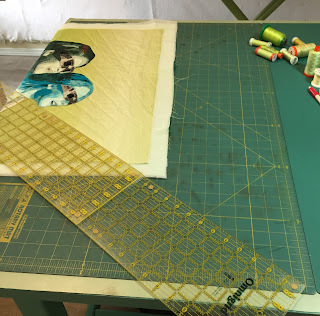 This is part two of the posting about the making of the Eclipse quilt. 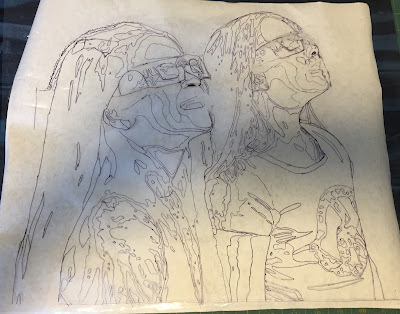 I started quilting the top before I did a sketch of the quilting, then realized that I needed to take a step backwards and do some sketching before I could keep going. I picked the one in the lower left and did some marking before I got back to the stitching. Using the corner of my cutting mat for the vanishing point and two long rulers, I marked the quilting lines for the sky. 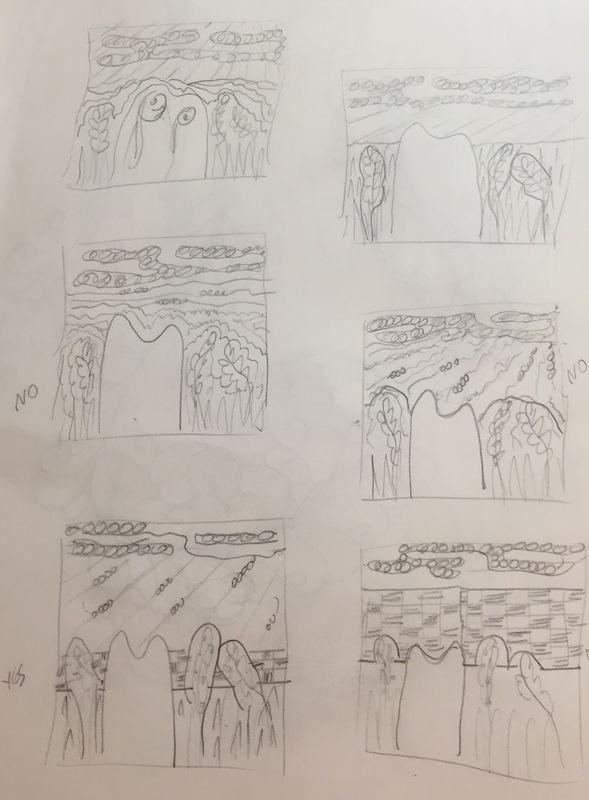 Here are 3 pictures showing the placement of the rulers. Now that I've looked at the pictures, I realize how dirty and dingy my cutting mat has become. Perhaps I can use my next 40% off coupon for a new cutting mat! Say yes! I used many types and colors of thread to quilt this piece, because I wanted to preserve the colors already there. 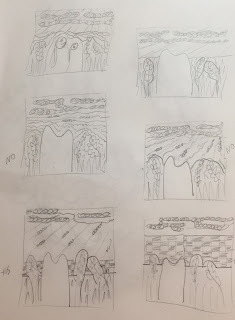 I also quilted a little in each area first, then filled in more in each area after that so that I didn't face the problem of having puffy areas to mash down. 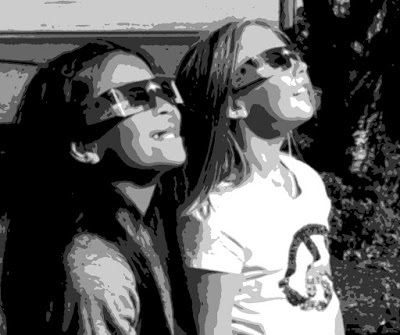 We traveled to Salem, Oregon to see the full eclipse of the sun in August with 2 of our granddaughters. It was a once in a lifetime event for us to be in the path of totality. Very special for all of the adults there. 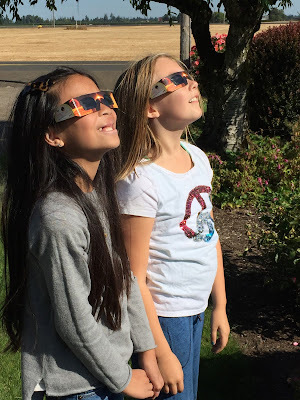 But what made it even more special was to see it through the eyes of children. I wanted to make an art quilt in remembrance of this event. Here is the cropped photo that started the quilt. After posterizing and turning the picture into black and white, I had a full sized print made. 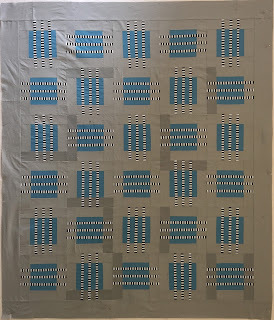 The process of posterizing helps to select fabric in shades. 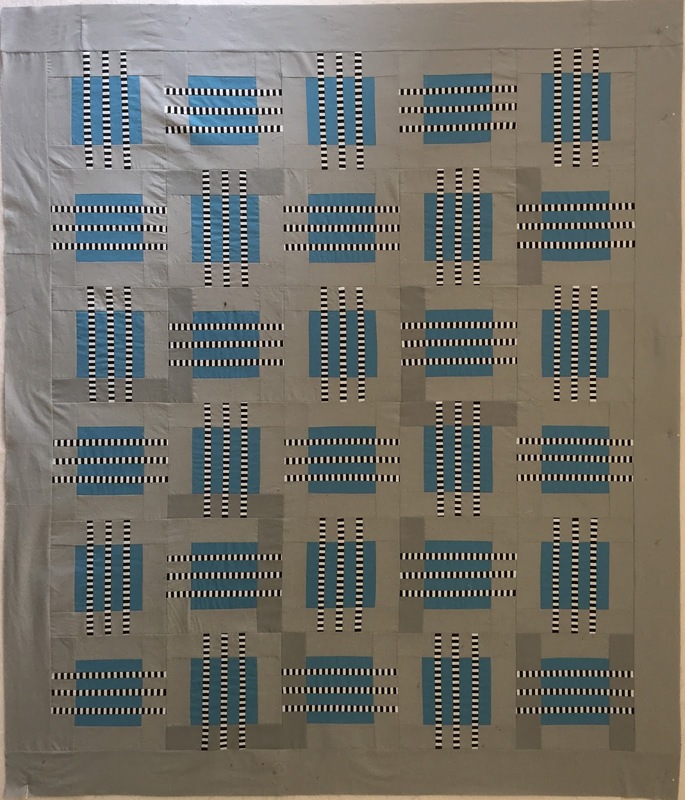 I used 6 shades for this art quilt. Oh, and thanks goes out to Lynn Czaban who taught me this technique. The nest step was to trace the picture as the values. I used a different colorway for each girl. I hope that they appear different from each other. One of the girls likes turquoise, and the other one likes pale green. I had to go shopping (of course!) for some of the right colors. I decided to make the glasses in gray tones after I tried doing it first in the colors of the girls. (That didn't work!). 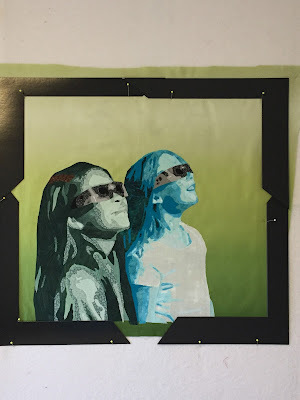 After I added all of the fabric pieces, I tested different backgrounds and liked the ombre green. It was all fused down to the background. I used some picture matting to figure out where I liked the edges of the picture. Then I added some stitching and ink work, after zig zag stitching around all of the pieces. I'll continue the the quilt with a second posting. 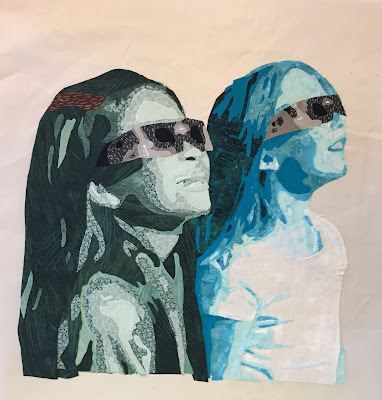 I hope you like it and that you have special memories that you can use in your quilts. I used to think you only needed a few pairs of scissors for sewing. Heck, my Mom had the one big pair in the house and everyone used it for everything. Sound familiar? 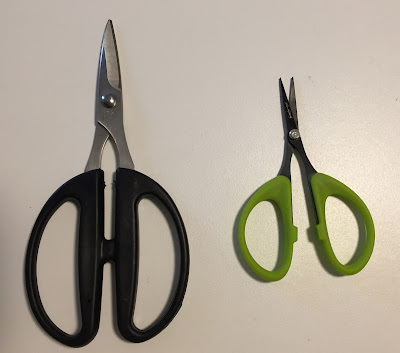 I learned a long time ago to guard my precious sewing scissors and only use them for fabric. (And get them sharpened once in a while). I added small ones early on for cutting threads and of course the pinking shears. But, every time I am around other quilters, I seem to notice another pair that I just have to get for myself. I now have almost a drawer full of them. My preferred manufacturers are Kai , Gingher and Fiskars. Here's the styles I like and recommend. 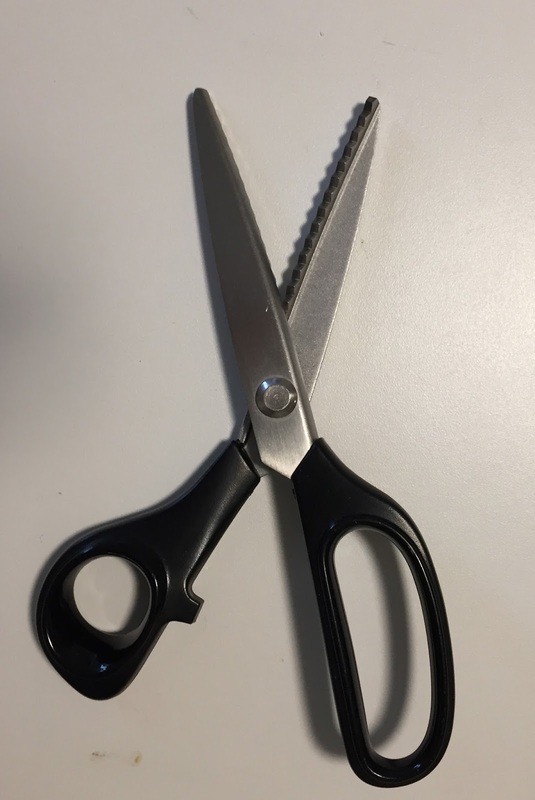 I can't live without scissors that snip cleanly into a tiny tight spot. My favorite brand is Kai, but I do have several others that I've used over the years. The points should be so tiny and sharp that you literally stab yourself from time to time. (Not on purpose). I like that these scissors come with a little sheath and a cord to hang around your neck. I have 2 pairs of these from Fiskars. One is so worn out, I probably need to replace it. These are a wonderful pair to clip threads at the sewing machine, or anywhere else when you cut a lot of thread. 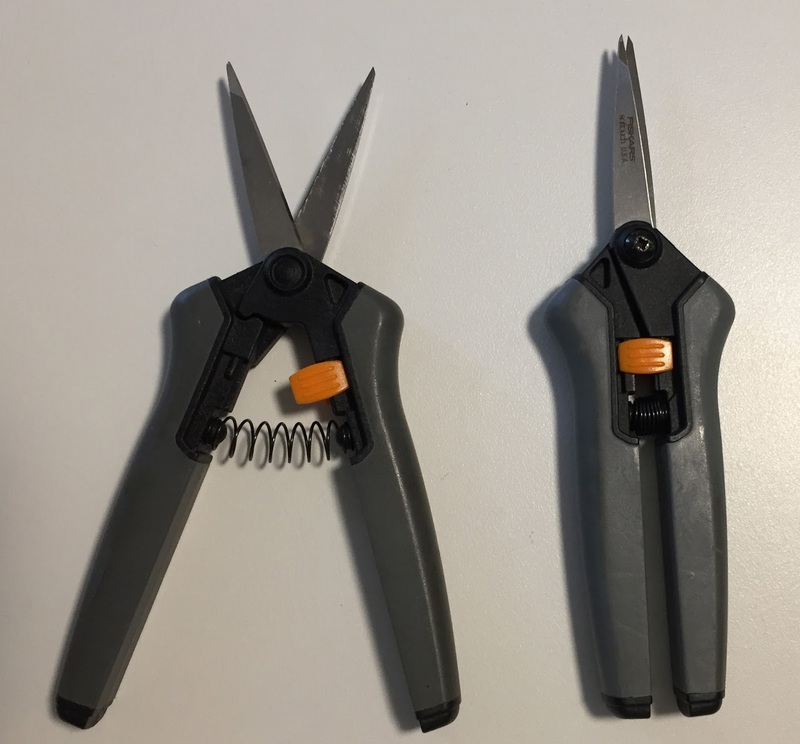 The spring loaded feature means that you exercise your hand less since you don't have to open the scissors first. I believe these come in several sizes, but this is the size I like to use. They fit into all of my traveling sewing kits. I was first introduced to this style by Sharon Schamber. They are great when you have to do a lot of tedious trimming (think applique). 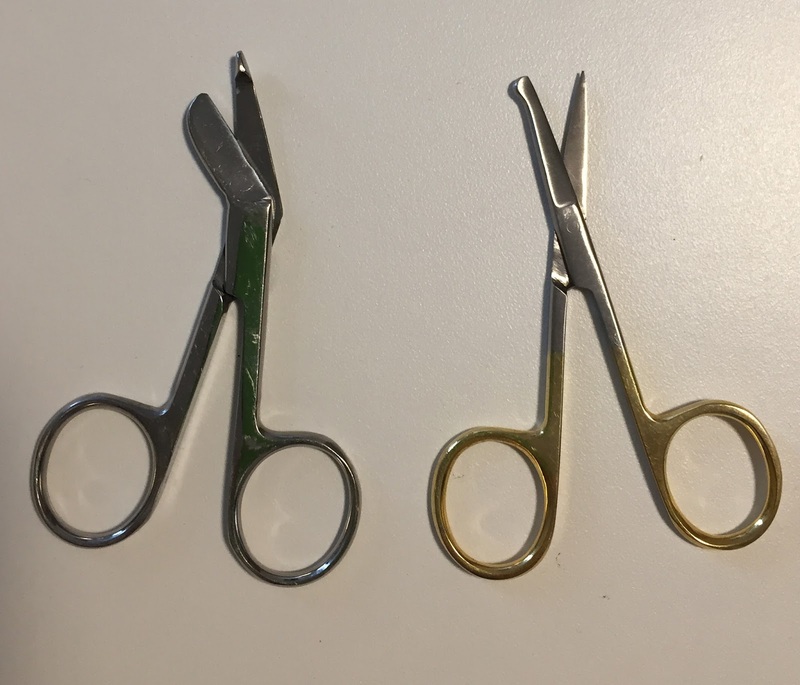 Since most small scissors also have tiny handles, this style really helps your hand from getting tired. Much more ergonomic. The pair on the right are from Karen Kay Buckley. They are micro-serrated and super sharp. We probably all have one of these styles. I have several including the classic Gingher from my garment sewing days, one from Kai because they are so comfortable, and an old Fiskars pair, mostly for cutting interfacing, dissolving products and paper patterns. If you do any trapunto or like to cut away the background from an applique pieces these are very handy. 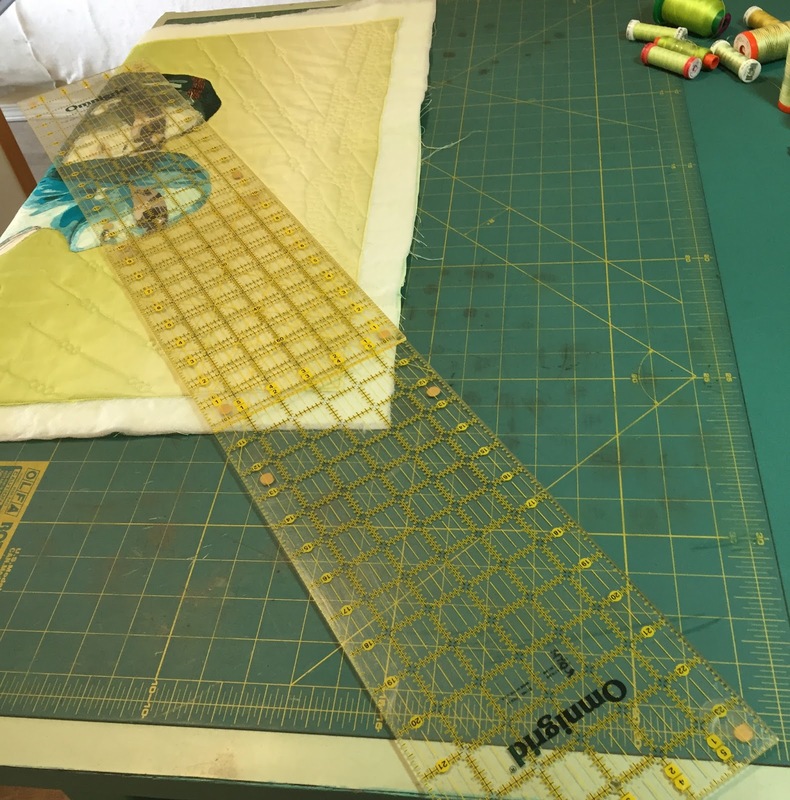 The blunt (or rounded) edge won't stick into your fabric and slides nicely right up to the edges. I'm sure there is a proper name for this type, but I can't think of it right now. 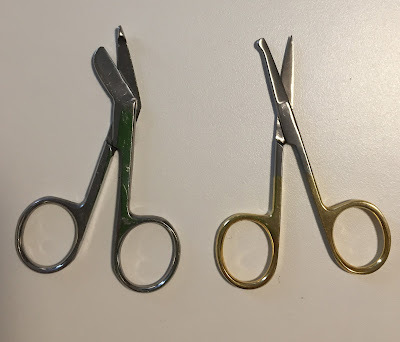 A relatively new introduction to me are the tiny serrated edged scissors They hold the edge of the fabric as you cut out your applique pieces and are very useful on tiny pieces or pieces on the bias. I love the little green ones shown above from Karen Kay Buckley. People who do more sewing than quilting would probably like the larger styles. 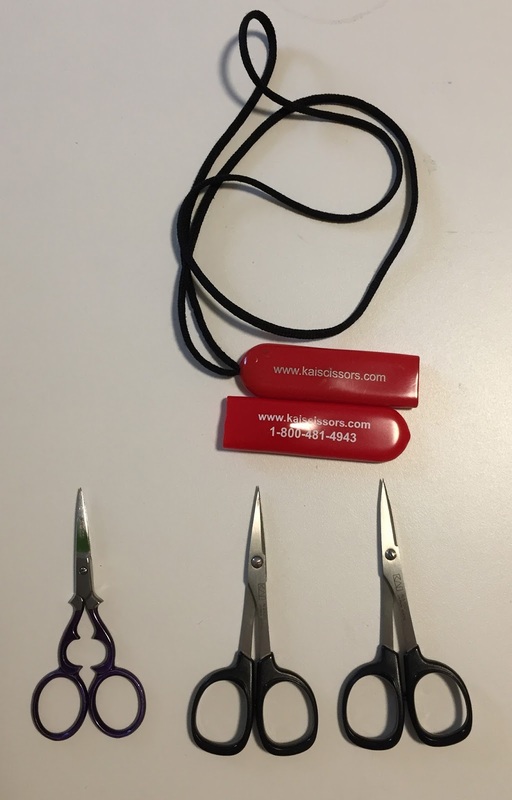 I have several different sizes in the medium range, and I like all of the Kai scissors for their different lengths and comfortable handles. I also like Fiskars. These are so great for sewing garments and home dec. I don't use them that much in quilting, but I know several people who pink the edges of their fabric before they pre-wash it. Nice to have when you need them. 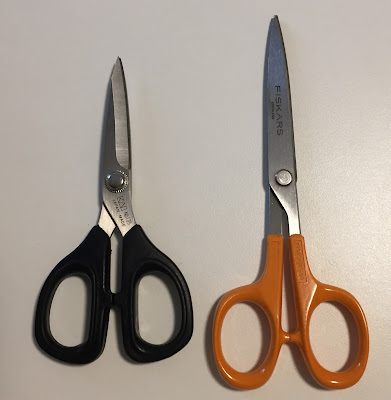 I reserve two pairs for paper cutting and use these when I do pattern work, for cutting fusible release papers, and for whenever it feels like I'm cutting something that will dull my scissors. These are my more inexpensive scissors, and I don't mind if anyone in the house grabs them for cutting something. I hope you check out the scissors at your local quilt store, your local fabric store, and the manufacturer's booths at regional quilt shows. 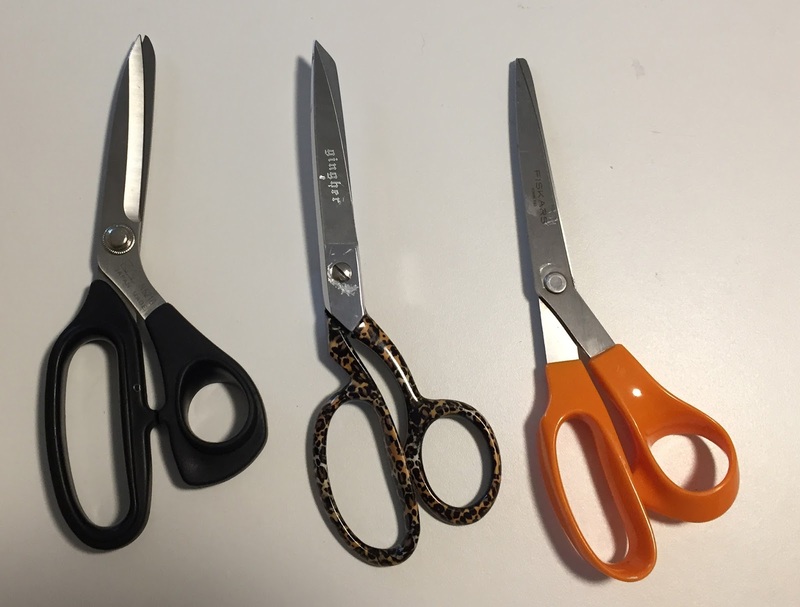 You never know when you'll see that new perfect pair of scissors. Happy cutting! I saw this quilt made on Nancy Zieman's show on PBS, "Sewing with Nancy". 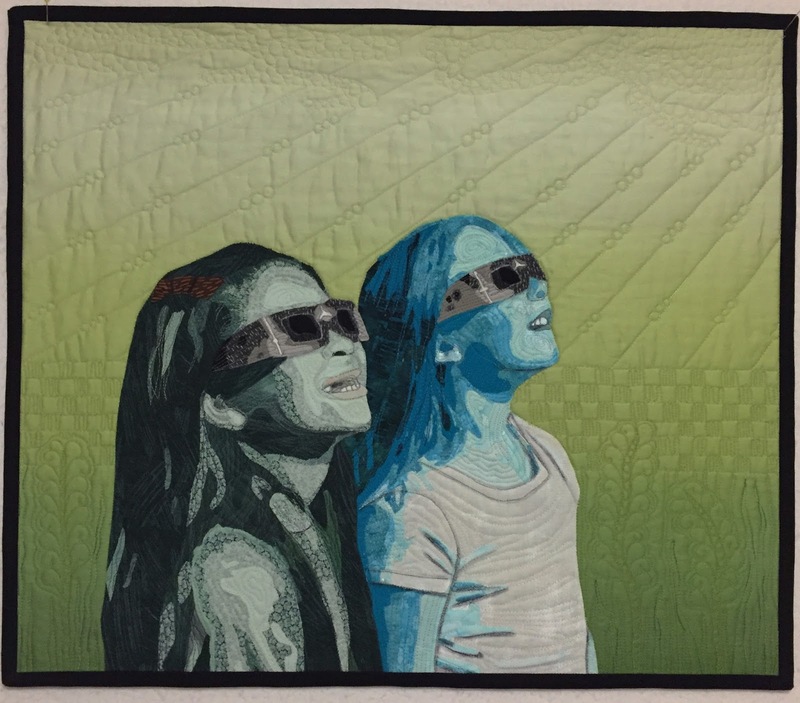 Here is the link to it on her webpage: Magic Inch Quilts . The guests that designed it are Bill Kerr and Weeks Ringle. When I saw it, I took a picture of the TV screen so that I would have the idea when I needed it. I always have my phone with me and I always tape the show. So it's easy to stop the playback and take a picture. I love having a camera in my cell phone! Don't you? This quilt, I decided right from the start, would be a fun one to make while traveling in our trailer. 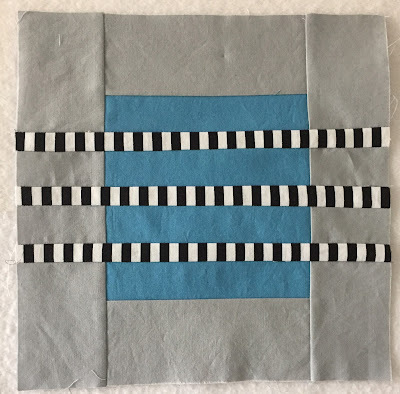 It's basically a square in a square block that gets slashed 3 times to allow for inserts of striped fabric. The end result gives you the illusion of floating strips and squares. So modern. I love it! I designed it to use a 6" block, 2-1/2" strips for the outer block, and 1" strips for the inserts. I don't remember if these were the measurements used on the show, but for sure the 1" insert was the key. 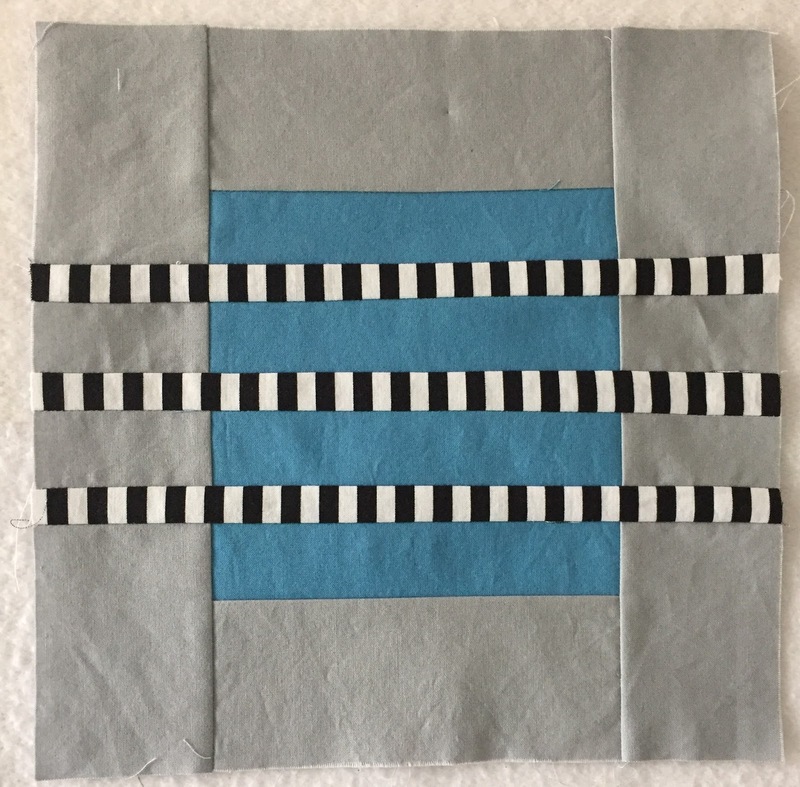 I wanted to make it from fabric I already had on hand, so I pulled out a large piece of gray for the background (outer part of the block), some solids that I had left over from a class, and some striped fabric. Not too far into the project, I realized that I didn't have enough of the black and white stripe. So I went with my friends to Country Manor Quilt shop in Battle Ground, WA and found the exact fabric I needed. I bought the rest of the bolt since it was only 1-3/8 yards. I also found some striped black/red/white materials that I wanted for the next quilt. I only bought a yard, and hoped that this would be enough to finished the second quilt. 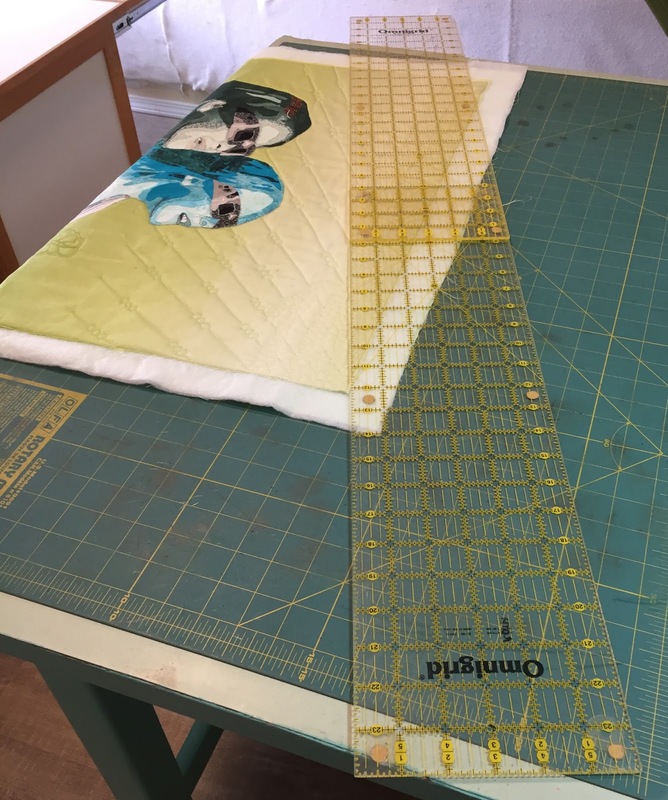 I sewed just enough of the blocks to make sure the measurements would work, and then cut out all the material before our trip. It was easy to piece with my little featherweight in the trailer and here is the finished top. 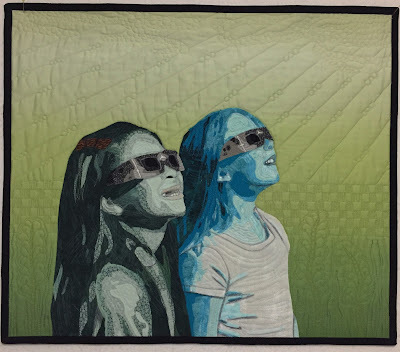 I took it over to our charity group so that they can put together a backing and batting and get it one of our long arm ladies to get it quilted. 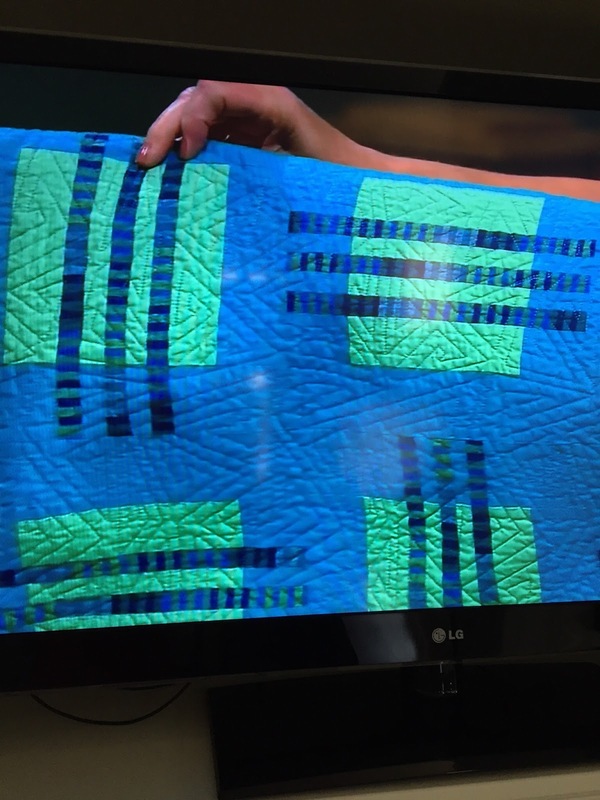 I hope you see quilts you like on TV shows too!